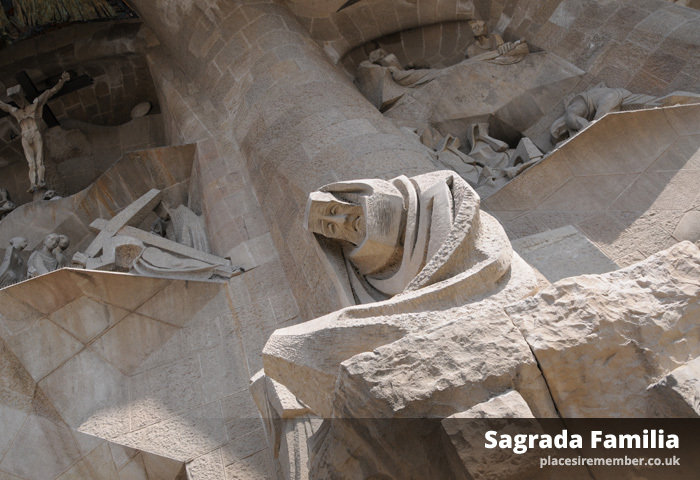 There are many landmarks across the world that simply have to be seen to be believed, or fully appreciated, and that is one thing that definitely applies to Barcelona’s Sagrada Familia. The influence of Antoni Gaudi is unquestionably one of the most famous things about the Catalan city – with the Basilica and Expiatory Church of the Holy Family, to give the cathedral its full title, the greatest of them all. 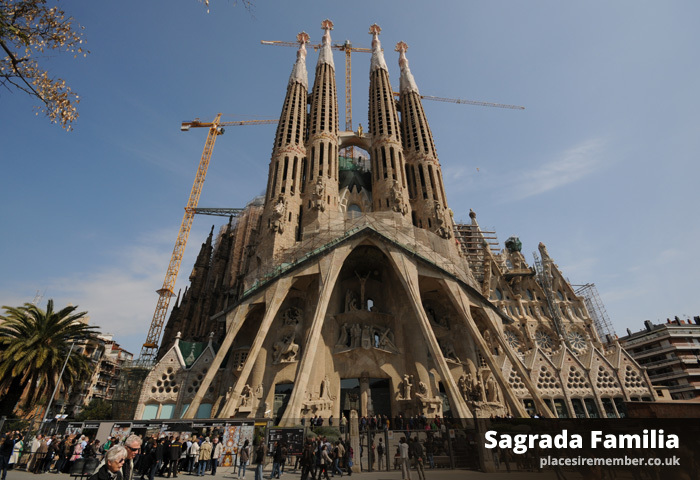 The first thing that strikes you about the Sagrada Familia is its scale, especially as you climb the steps of the metro station exit, as the cathedral emerges into view, its eight towers soaring high into the sky. Once you’ve got a handle on the almighty size of the building – still in progress, and not set to be completed for more than a decade – attention turns to the breathtaking level of detail. And as you get closer, the detail within the detail becomes increasingly apparent. It’s certainly not difficult to understand why, even though building work was started in the late 1800’s, it is yet to be completed. In addition to the time taken to craft the intricate detail, progress has often been slowed by issues financing a project that reportedly costs around €25 million per year. But with Barcelona’s tourism industry having gone from strength to strength, the scores of tourists who make their way to the city’s most popular attraction guarantee that cash flow won’t be drying up. That is particularly true now that the interior has been completed. I was due to travel to Barcelona in March 2011, and despite having seen the outside of the building a couple of times previously, I’d never been inside before. Traveller reviews on the internet from people who had seen the interior were mostly negative, predominantly due to the construction work which was still taking place. Accounts described how it was like paying to see a building site, with scaffolding erected around the main hall. However, that seemed to change in the weeks before my scheduled visit, and there was unanimous positivity from everyone who had visited in early 2011. Gone was the scaffolding and the plastic sheeting, and there was now more of a reason to spend €12,50. 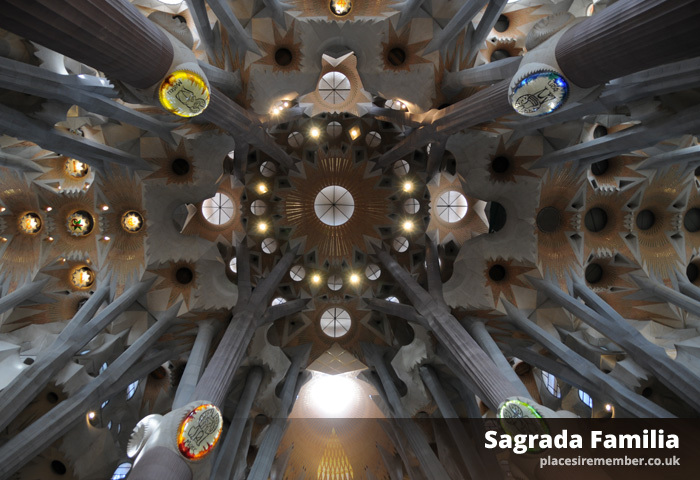 The price covers admission to the nave and crypt, and also a museum documenting the main works of Gaudi which includes a glimpse into the workshop where replica pieces of each section are modelled. 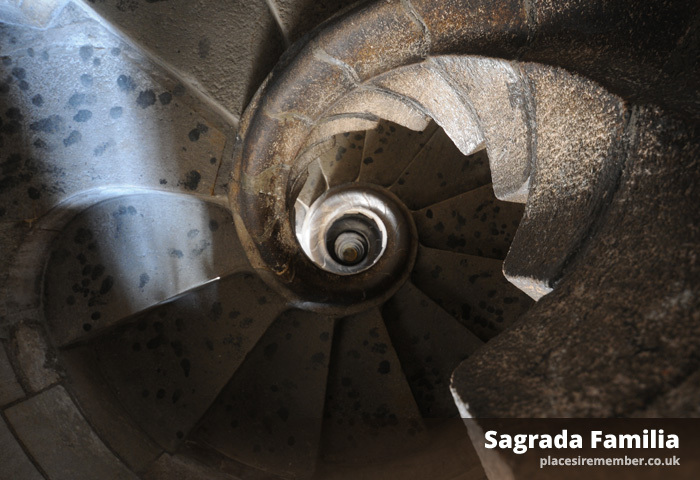 An additional fee grants a time slot for access to one of the towers, but whilst the ascent is by lift, the route down involves a narrow spiral staircase. Visitors suffering from claustrophobia, acrophobia, or who have difficulties with mobility are advised against the journey up the tower, which allows a bird’s eye view of the crowds of tourists located 65 metres below. On exiting the cathedral, the route out passes through the botiga. But whether or not any souvenir purchases are made, don’t rush out of the exit gates without first stopping to take in the detail of the outside wall up close. 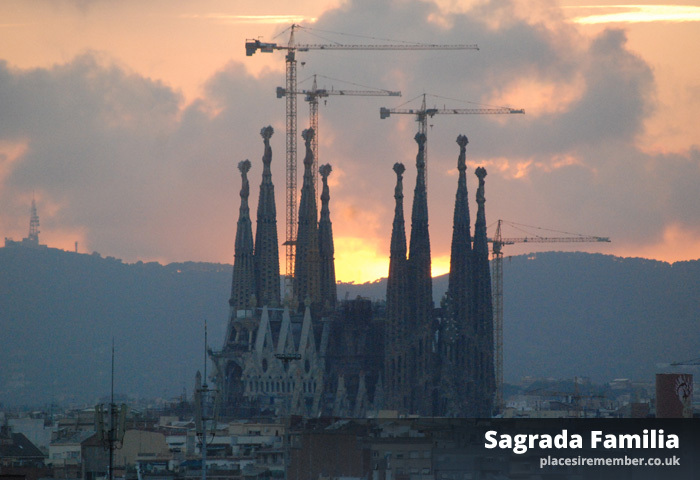 As is true of Barcelona as a whole, the Sagrada Familia has continued to see growth in visitor numbers, and welcomed over 3.2million people during 2014. Long queues are therefore inevitable – whatever the time of year, but if intending to visit the area around the cathedral, and view from the outside only, it is possible to avoid the worst of the crowds by going early to beat the seemingly never-ending stream of tour buses continually offloading groups of tourists.